Aligning, rotating and properly inflating your car’s tires help keep everyone safe. 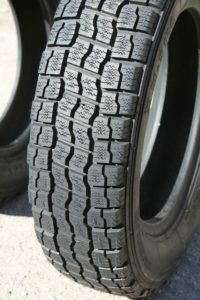 Is it time for new tires on your car? One way to tell is to do the Lincoln test. 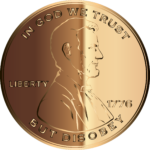 Insert a penny, head first, into the tread in your tire. If you can see Lincoln’s head, it’s time for new tires. If your tires are more heavily worn on the inside than the outside, or vice versa, you probably also have wheel alignment issues that won’t be solved with a new set of tires. Sure, it’s convenient and sometimes you’ll initially save a few bucks buying tires on sale at a big box store but be careful. The expert technicians at JK Automotive & Performance understand how all the components in your wheel system work in conjunction with one another and having them properly aligned, rotted, and inflated will save you money down the road with longer lasting tires and unexpected repairs. When you visit us, our expert technicians will inspect, rotate, and balance your tires, as scheduled by your vehicle’s manufacturer. And when it’s time to replace them, we will determine the correct size and kind of tire you need for the car and type of driving you do. Finally, we will make sure your new tires are properly installed. Need a wheel alignment? We’ll take care of that, too. Ask us about tire sales and tire repair services. We think you’ll find we’re a good fit. And don’t forget: manufacturer recommended vehicle maintenance typically includes tire services such as tire rotation and wheel alignment. Contact us today to schedule your tire service or ask us about tire sales and what we recommend. To learn more about how your cars tires and brakes work together to keep you safe, see our blog post here.